February | 2015 | Live. Love. Grow. Health. Can I get the definition? noun. the state of being free from illness or injury. Health. Can you use it in a sentence? Broken down in this manner, health seems quite simple, when in fact it has become quite complex in our modern society. Creating a healthy life can absolutely be simple, had everyone around us in the past millennium not toiled with our plants and animals. Truly, food and activity are at the absolute core of a healthy body, once you can learn how to get past the muck and the mire. Add in mind and spirit and you’re on your way to a happy healthy life! I’ll start with the modern day U.S. health care system as most of us know it. Basically it works like this… You start by spending money each month to insure you as a person in the event that something happens to your health, i.e. you get sick. If you don’t get sick, no refunds, this is an investment in your health (WHAT?!). During this process, your doctor probably failed to get to the root of the matter. And by that I mean, the CAUSE of your SYMPTOMS. If asked, “Why did you get sick?”, I’d be willing to bet I know your answer – “because my snotty little kids brought home their germs from school”. Right? WRONG! You may be right about the part of WHERE your virus came from, but you’re not getting to the root of the matter. Instead, answer questions like – WHY did you get sick? Why did your body allow you to be susceptible to the virus your snotty-nosed kids brought home with them? Why didn’t your body do its job and fight? The answer lies there – at the root of the matter. The trouble with just treating symptoms is that you will end up with chronic problems and/or dis-ease. Every time you are put on an antibiotic regimen your system is ultimately being weakened because the drug is killing the bad AND good bacteria in your system. Our bodies are miraculous vessels that were created to work harmoniously to heal itself, keep us safe, and give us a long life full of health and happiness. But when we compromise the machine that is the human body, dysfunction takes over. Think about an assembly line. Can the end result be right without all the steps, parts and systems along the way? Most likely not. Each and every time we add toxins to our system, or kill all the evil-fighting bacteria, we are disrupting the body from doing its job properly. Am I saying “don’t do anything at all if you get sick?” Not necessarily. I truly believe in seeking medical help when justified, i.e. major infection, broken bones, etc. But I am a strong believer in fueling your body with what it needs to do its job right and to PREVENT dis-ease. This is where the MAJOR disconnect exists in our health care system. It’s literally designed to react to disease, not to prevent it. Wouldn’t it be less expensive to keep people healthy before they get sick?? Again, I’d be willing to put money on the fact that there are things going wrong in that person’s body that need attention, and will ultimately result in problems down the road. Maybe they aren’t sleeping well at night, have frequent headaches, joint pain, or acid reflux. A number of signs could be flashing in this person’s face, but because the doc’s computer didn’t find anything wrong from the blood tests and measurements, this person will continue going about their business thinking they are HEALTHY! 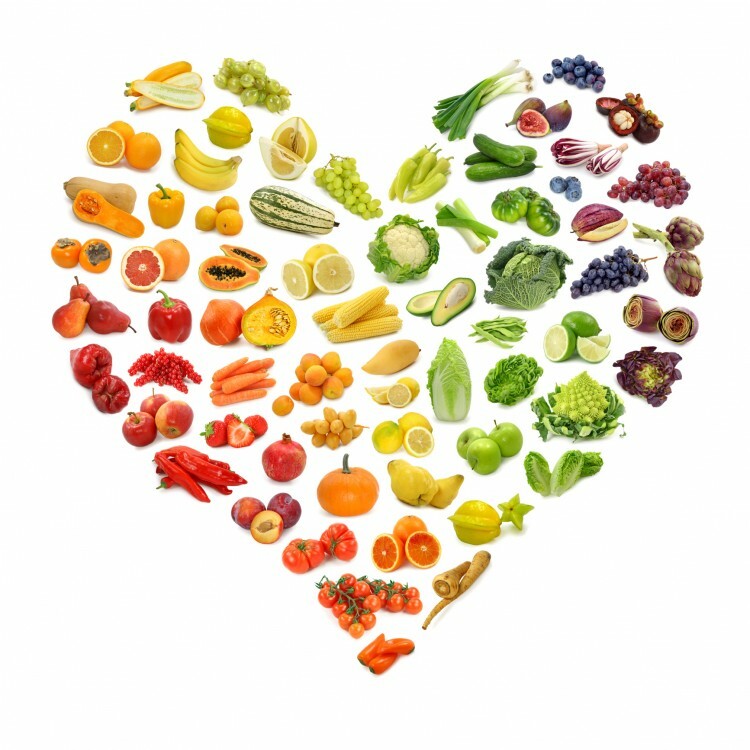 The second piece to where our health has gone wrong is our food, or what used to be food. Since the beginning of time, humankind has been inventing, creating and improving. But it hasn’t always created an end result that actually benefits our race or our planet. Can you say “atomic bomb”?? Our food chain is a good example of where all that creation and improvement has gone wrong. Everything on our planet is meant to work in harmony (sounds familiar right?). When we start messing with mother nature’s harmony, it creates discord, chaos and dysfunction. This is relative to all parts of nature, but I’m only going to talk about food here. At some point in the United States farmers, scientists and the average Joe decided to alter our food system. Wheat crops were genetically modified to behave like an opiate (Click here to learn about this ridiculousnes: Wheat Belly: An Unintended Consequence); Corn has been genetically modified to produce its own insecticide; Soybeans are genetically modified to withstand herbicides, yet now contain the active ingredient in herbicides; The list goes on. These and other crops were modified to grow faster and stronger, yielding more finished product. So now we have more corn, wheat and soy that’s full of nasties. Great. Now let’s talk about animals… there are lots of issues going on out there with farming animals, but I’m going to focus on cows for a minute. The farmers want more cows faster so they feed them grain-based feed (corn, wheat and soy) and keep them penned up. This fattens them up faster. (Hint: what do you think that does to us??). 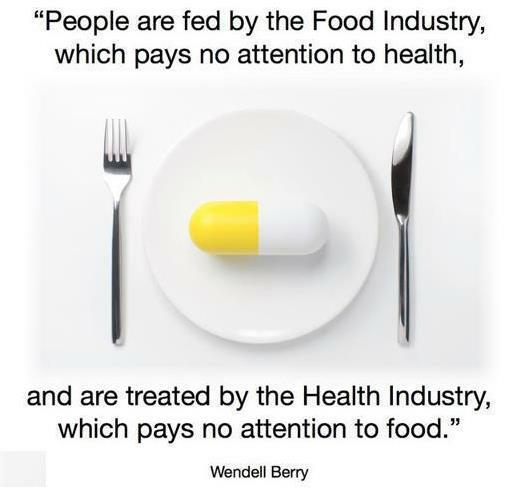 But because of all the nasties from the GMO feed they are eating, they are getting sick. So the farmers give the cows antibiotics. And this isn’t the only trouble. To be in harmony, cows are meant to be happy free roamin’, grass munchin’ bovines… not penned up, fattened up and shot up with meds. The cows are now doubly full of nasties, stressed out (which releases even more toxins into their muscles) and are no longer in harmony with nature. Then they are slaughtered for your dining pleasure. As a side tangent, here’s a quick lessen about toxins and our GI system. To keep it simple, guess what happens to toxins inside our bodies? They are attacked and surrounded by fat cells. It is the job of fat cells to protect our internal organs from being attacked by toxins. The more toxins, the more fat cells. Gross. Additionally, our immune system is based out of our gut, which is where all of our food goes to be processed. When we eliminate our good bacteria while trying to get rid of the bad bacteria (see the antibiotic section above), we compromise our immune system… you guessed it… causing (or allowing) dis-ease. But what does this all mean for us, the end consumer of beef? Well, it means that we are consuming meat full of toxins, antibiotics and genetically modified organisms. That ends up in our gut, which wreaks havoc on our entire system, causing a wide variety of problems for our poor bodies. So we go visit our doctor to get “fixed” and end up on antibiotics or other harmful medications and add to cycle of doom. That, my friends, is NOT health! Seek alternative means to “fix” yourself when you’re feeling broken, such as accupuncture, kinesiology, chiropractic care, therapeutic massage, and herbal remedies. Stay tuned for Part II which will focus on Wellness… this is the part where your feeeeeeelings come into play! In the meantime, be happy and healthy!